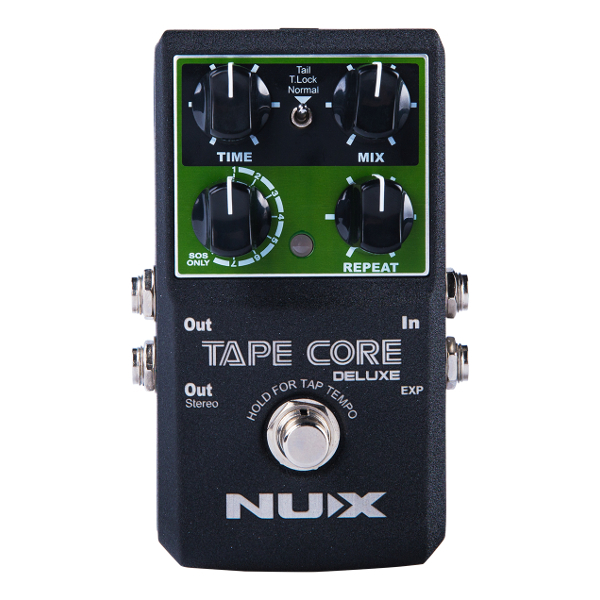 Nux Mini Core Rivulet Chorus Pedal., Newark Musical Merchandise Co.
A crystal clear river. Flowing, transparent. The Rivulet design concept! 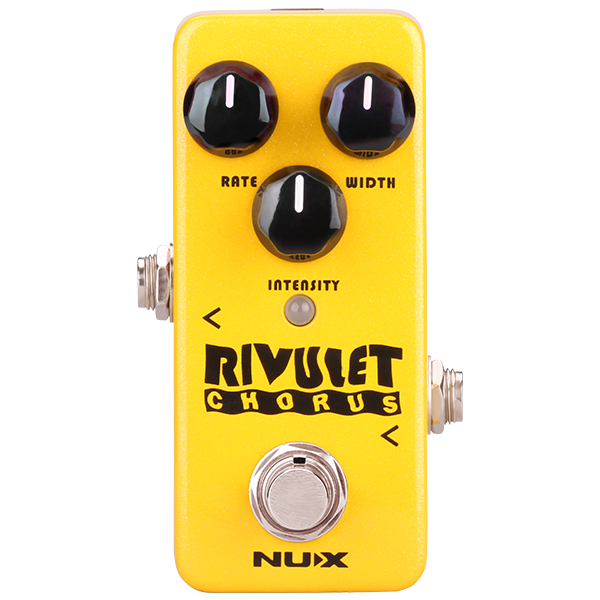 The Rivulet comes factory-loaded with NUX's tribute to the classic "Modern Chorus," the familiar Yellow Pedal with 5 knobs. We've consolidated the controls by eliminating the bass and treble knobs, now internally set at middle position, and we 've eliminated the need for the bass filter altogether, which is now automatically corrected through the advancements of DSP sound modeling. The first chorus effect pedal arrived on the scene in 1976. Before that, it was only available as a built-in effect on a classic jazz amplifier. Rivulet exactly replicates the characteristic of this pedal; that special warmth of a rich jazz atmosphere , an immediate recognizable highlight to any musician's tone. The classic original only came w / Speed ? ?and Depth control parameters, just 2 small knobs, and yet it was recognized as one of the best chorus effects of the 1980's. Rivulet's 3 knob configuration provides the added benefit of a dry / wet signal ratio adjustment. 4. More features: Luminous glow-knobs, solid and light aluminum die-cast chase, regular 9V pedal power with 75mA low current.